It’s our first post of 2019…..and it’s the Easter Long weekend no less! We may be available over the 2019 Easter long weekend for emergency roller shutter repair appointments – please call us on 84473443 if you need assistance over the holiday period. (If you don’t reach us immediately, do leave a message and we will call you back). Happy Easter everyone, have a safe and enjoyable long weekend – from the team at TRSRC. After a very hectic year installing new and repairing old roller shutters for our wonderful Adelaide customers, it’s time for some much-needed rest and relaxation! Our entire team will be having two weeks off over Christmas before coming back to work on the 7th January. As usual, one of our fantastic crew has volunteered to be on standby for emergency call outs – if you’re in need of an urgent emergency repair over the holiday period, please call us on 84473443 and we will do our best to assist if possible. Thank you to all of our wonderful customers for another great year, stay safe over the holiday season and we look forward to working with you again in 2019! We feel very lucky to continually receive positive feedback from our customers. This has translated into a lot of word-of-mouth business for us, as friends, neighbours, and family members contact us after being referred by a satisfied customer. 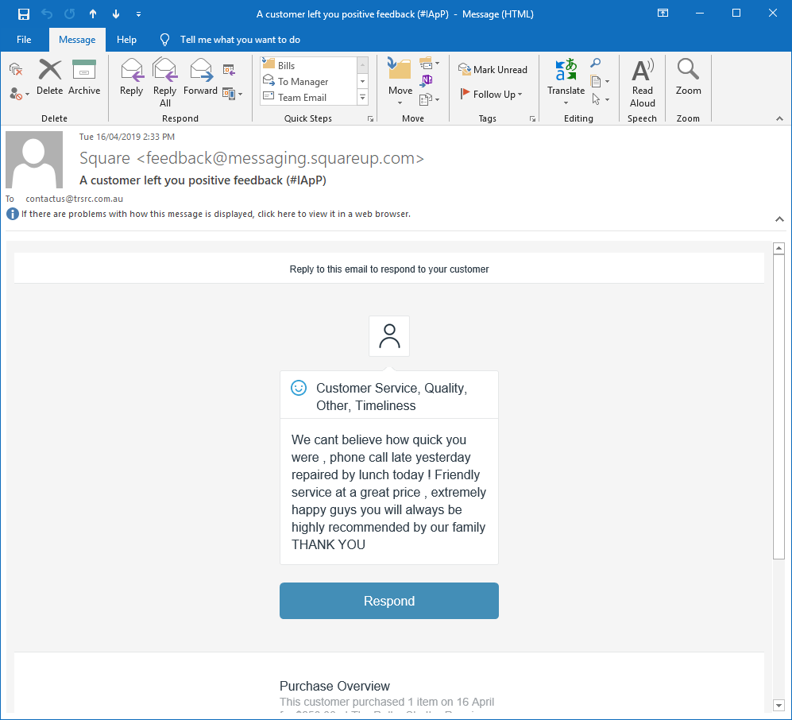 We work hard every day to provide the best possible service and work environment (this includes our employees and suppliers), and so we are proud when customers take the time to call, write in or email us feedback. 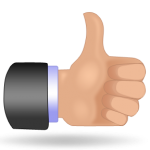 We have finally updated our testimonials page with some of our more recent written feedback. If you’re looking for new roller shutters in Adelaide, or roller shutter repairs, please check our testimonials page to see what some of our previous customers have said about our service, then give us a call on 84473443 or 82401383. We’ll be happy to help you. It’s Showtime in Adelaide….that means Spring is here! It’s been a windy start to Spring this year, with some customers contacting us about roller shutters that have been blown away in strong wind gusts….remember to always keep your roller shutters either all the way up, or all the way down in windy weather. Leaving the roller shutter halfway can create a ‘wind tunnel’ effect, channeling the wind gust up in behind your shutter to blow the curtain outward – on really wide shutters, this can be a problem! So the only Adelaide show special we can offer on roller shutters is our usual high quality product and workmanship, combined with considered, tailored advice for your situation. We don’t employ sales people so it’s our installers who come out for a free measure and quote and to answer any questions you might have. With a 5 year warranty on new roller shutters, why not contact us for a quote today on 84473443. Are you a property manager or real estate agent looking for roller shutter repairs in Adelaide? Are you a real estate agent or property manager? Need to get roller shutters fixed? We work with agencies across Adelaide and provide prompt and professional service to make your job easier. Call our office (84473443) or simply email through your work order with tenant contact details to contactus@trsrc.com.au. We’ll get in touch with the tenant, arrange the repairs, contact you for any approvals if necessary, and email across the invoice once work has been completed. If your agency uses Maintenance Manager, we’re on there too: search for “The Roller Shutter Repair Company Pty Ltd”. The Anzac Day public holiday will be celebrated this Wednesday, 25th April. We will be closed on this day, but will be available for emergency call-outs after 11.30am (a holiday surcharge will apply). If you require assistance, please contact us on 84473443. We still have some appointment times available before Easter – so if you have a roller shutter that needs attention, perhaps before you go away over the long weekend – give us a call on 8447 3443. 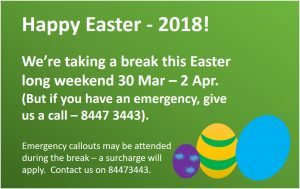 Our team are having a well-deserved break over Easter; however if you have a roller shutter emergency we may be able to assist – call us on 84473443. (If we don’t answer the phone immediately please leave us a message and we’ll get back to you asap). 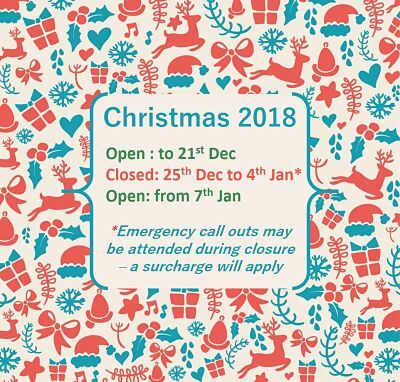 Please note any callouts over the break will have an emergency surcharge applied. Do you have manual wind-up or pull-cord roller shutters? Did you know that you can upgrade your roller shutters to be operated automatically? Most roller shutters can be motorised – the manual controls are removed (such as the strap and winderbox) and are replaced with either a switch (like a light switch on the wall) or remote control unit. The advantages of motorising roller shutters include convenience, greater security, and less stress and strain on both you and your shutter! When upgrading to a remote control option, you’re able to program multiple roller shutters onto a single remote; imagine the convenience of opening all your shutters with the press of one button! You can also customise your settings; for example, have all living area shutters assigned to one channel on the remote control, while bedrooms can be assigned to other channels for individual operation. Some remote controls also allow you to set regular times for opening and closing the shutters, so you don’t even need to press a button at all. We can motorise one roller shutter, or motorise a whole house of roller shutters. Call us on 84473443 to discuss your needs and the motorisation options available.